Series of images exploring ‘freedom, movement & expression’ shot between October ‘16 & April ‘18. 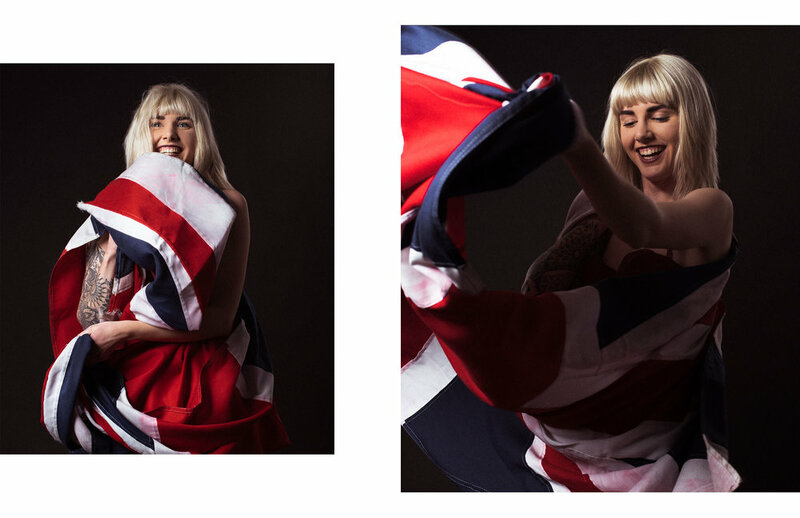 Created from relaxed studio sessions these images focus on the featured subjects and their unique characters, in relation to one ‘constant’ that unites all of the images together, the Union Jack flag. This was project was produced for no other reason than to express my creativity and love for portrait photography. 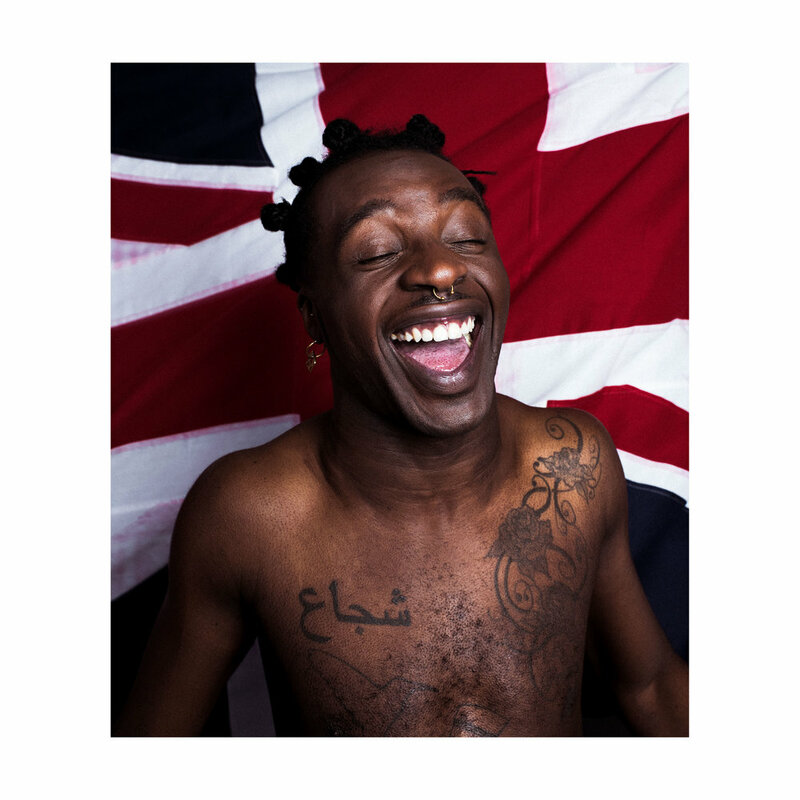 The images needed to feel organic and authentic, letting the subject just express themselves freely, whether that was moving, jumping, sitting, posing or laughing. 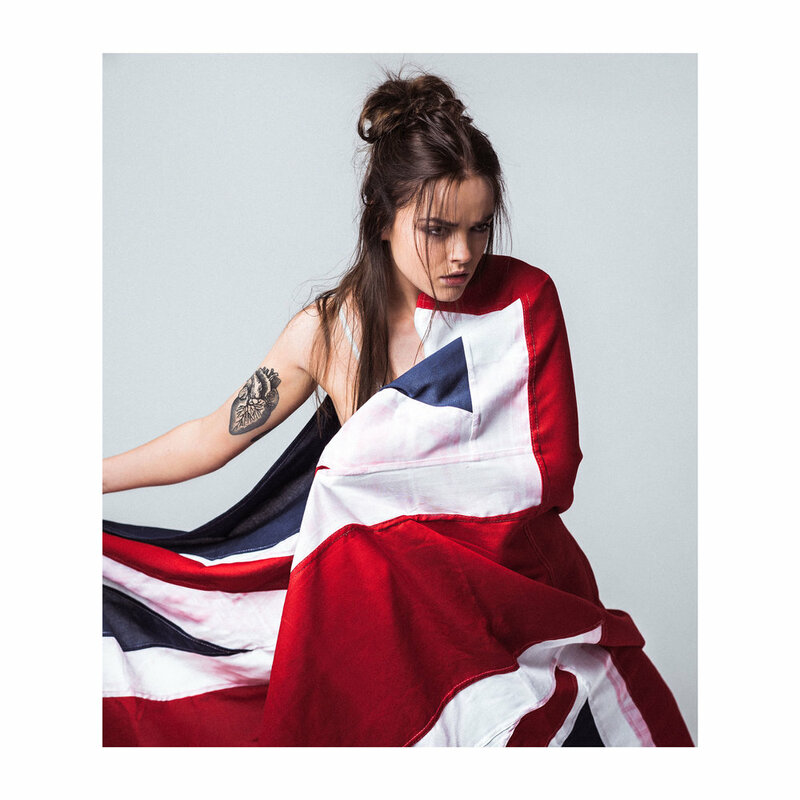 The flag featured in the photographs was the same one used in every sitting. Ramario Chevoy, Monica Montalvo (MUA), George Cooper (Assistant), Juliette Carton, Ryan Davies-Hall, Tori Blake (Assistant), Shawna Leigh, Mitzi Ina, Holly Blair, Izzy What, Alisha, Molly Owen, Chili Chapel, Josif Nolan, Lauren Kate Preston, Sophie Moet, Emily Adams, Lusy Logan.